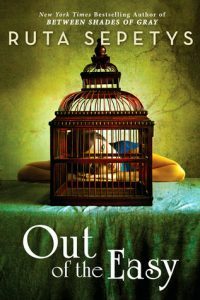 Ruta Sepetys’ Out of the Easy (Amazing Audiobooks for Teens 2014) is set in a 1950s New Orleans that many people may not know—one of prostitution and crime. Sepetys did extensive research in the city for her book and even spent time with someone connected with the mob so that her book would ring true. Her descriptions of the French Quarter that was are wonderful. Josie, the main character, has a resourcefulness that is unparalleled, and though she dreams to leave her city, readers will get a real feel of the way New Orleans used to be. 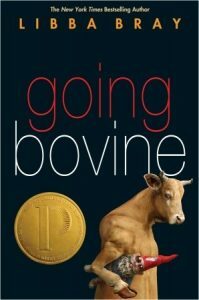 Going Bovine by Libba Bray (Printz Award 2010) is not set in New Orleans, but Cameron Smith, along with his hospital roommate Gonzo, go on a quest that begins with a bus ride to New Orleans. 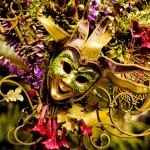 While in New Orleans, the two experience Mardi Gras and meet a jazz musician who is supposedly dead. You can recreate the characters’ trip on the streetcar to the cemeteries by riding the red cars up Canal Street away from the Mississippi River. 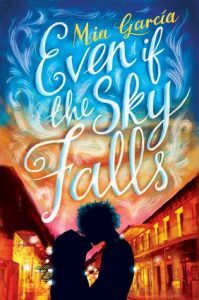 If New Orleans means romance to you, then you might want to try Even if the Sky Falls by Mia Garcia. Julie is visiting New Orleans with a team on a summer excursion to help rebuild homes. 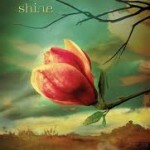 On a whim, she ditches the program to celebrate the mid-summer Mardi Gras where she meets a boy who is willing to connect with her with no names and no back stories. During their whirlwind night of falling in love, a hurricane threatens to blow their romance to pieces. Though in reality the mid-summer Mardi Gras event is a small affair, visitors to New Orleans are often captivated by the sights, sounds, and smells no matter what time of year they visit. 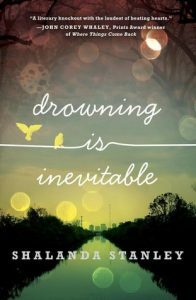 North Louisiana native Shalanda Stanley’s Drowning is Inevitable tells the realistic story of four friends who live in a small town. When Olivia realizes that her friend Jamie may be attacked by his father, she enlists two other friends to join them on a road trip to New Orleans. In New Orleans, they hope to find the redemption that they need to put their dysfunctional families behind them. 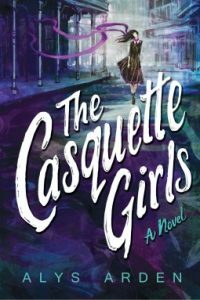 If you seek some paranormal or supernatural with a story set in New Orleans, you might want to try Alys Arden’s The Casquette Girls and the newly published sequel, The Romeo Catchers. In the first book, Adele faces vampires and witches whom she meets upon returning to New Orleans after a deadly hurricane. In both works, New Orleans and the French Quarter are significant to the storyline with Arden including history, landmarks, and descriptive episodes of the city in recovery mode after a devastating hurricane. 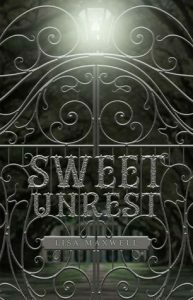 If you like the paranormal genre, then you might enjoy reading the duology Sweet Unrest and Gathering Deep by Lisa Maxwell. These novels are drenched in mystery, voodoo, and southern gothic characteristics with New Orleans serving as another character of the story-line. 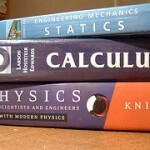 You do not need to read these books in order as the second book is a companion rather than a sequel. It is easy to be taken in by the eerie mood that the author paints as she describes the oaks of the plantation where Lucy’s family lives and the back streets of the French Quarter where Chloe seeks out the voodoo priestess who they hope can help solve the murders. 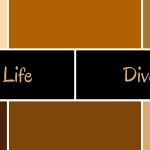 Great post idea, thanks for the suggestions!